ChrisAlly Events and Party Rental - ChrisAlly Events and Party Rental provides bounce house rentals, water slides, tents and more in Woodstock, Alpharetta, Marietta and other areas in Georgia. We also offer concession machine. 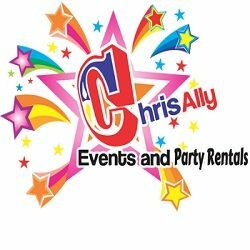 ChrisAlly Events and Party Rental provides bounce house rentals, water slides, tents and more in Woodstock, Alpharetta, Marietta and other areas in Georgia. We also offer concession machine rentals, tables and chairs, catering equipment, inflatable rentals, obstacle course rentals, interactive games and more. Whether you're having a back yard birthday party, a school function, a corporate event or a church picnic, we have you covered.